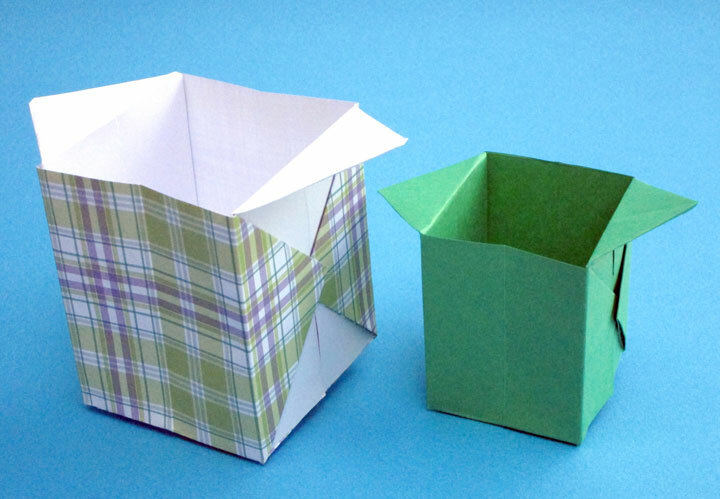 Not only are origami boxes and containers fun to fold, but they can be useful as well! 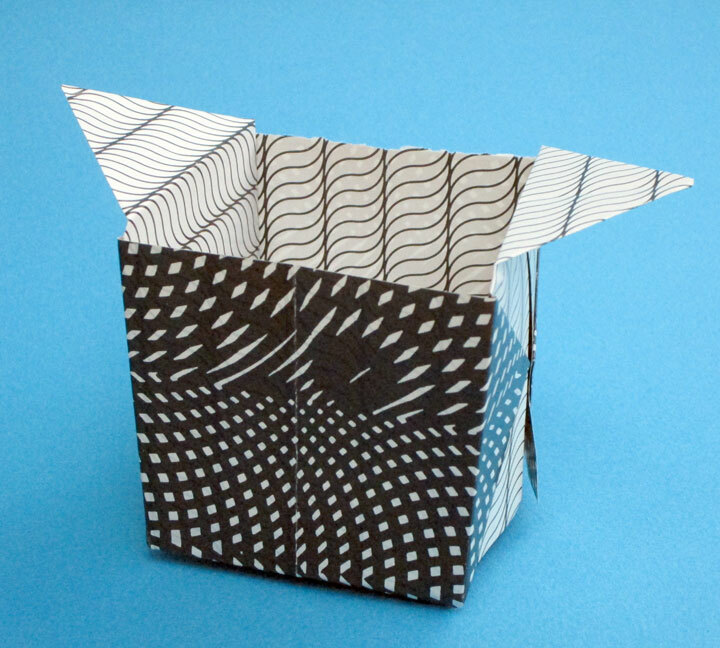 This model is folded from a sheet of rectangular paper rather than the usual origami square. Standard 8.5 x 11" computer paper works well, and results in a container about 3" tall and 2.5" wide. 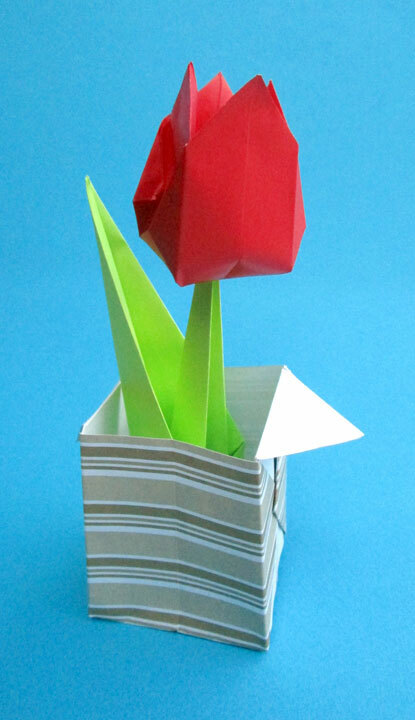 I often use this model to hold paper flowers, which makes a good gift of cheer to present to friends or family. 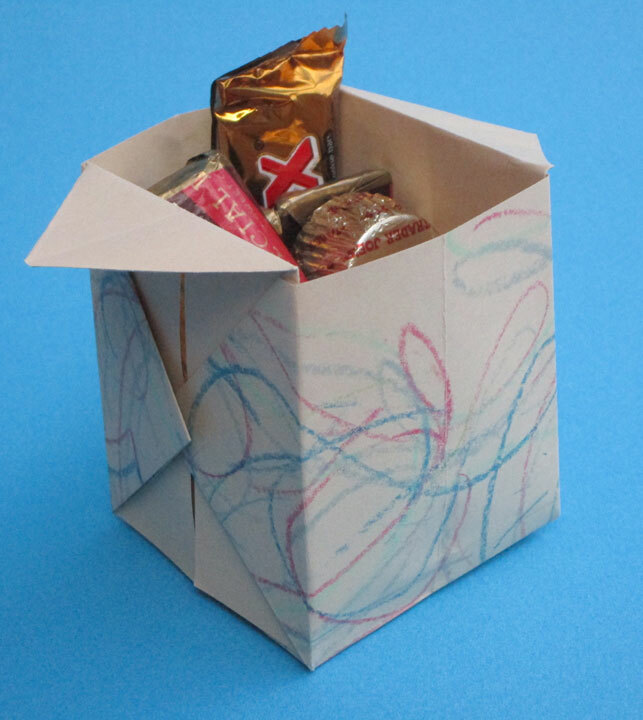 Sometimes I've filled the container with wrapped candies to share at an origami meeting. 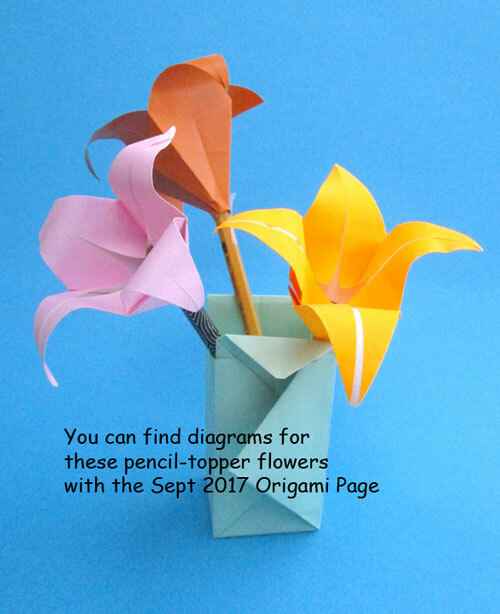 If you fold this container from heavier paper stock it can be used to hold pencils, especially if you use something to weight the bottom. Small florist pebbles or glass stones can be used for added weight. 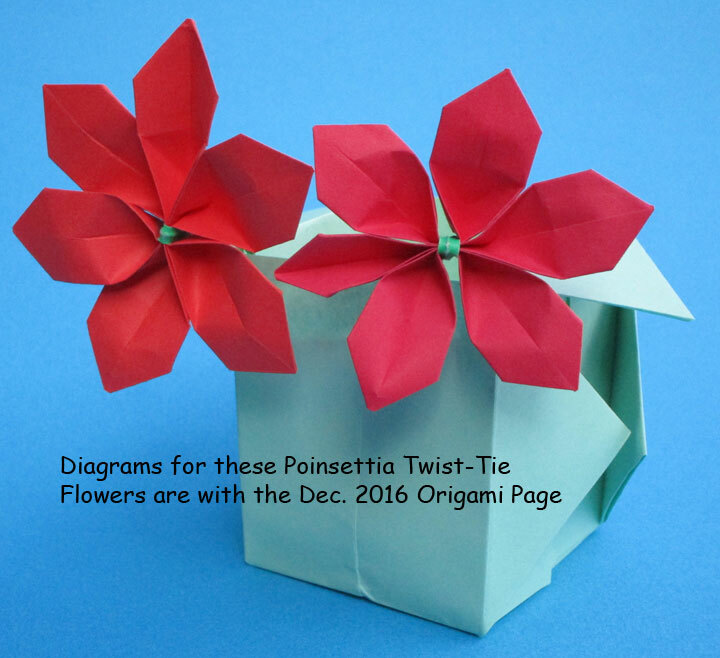 A good way to personalize your container is by drawing or coloring on the paper; this can be done before folding the paper and creating all-over patterns, or you can add designs after folding while flat before opening into a 3-D form. 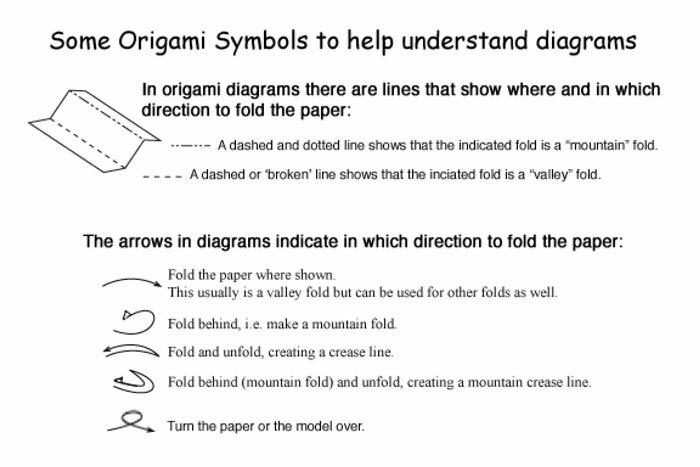 Also, try using decorative papers to fold for a different appearance. Note that if one side is white or a different color, you do see both sides on a finished model. 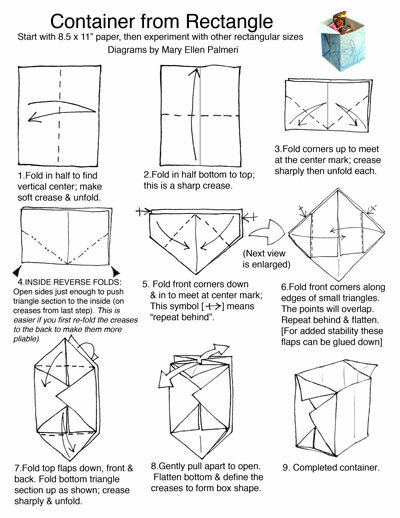 Let me know if you find other uses for this origami container!